Six Month Smile is just another term that we, Specialist Orthodontists, use for "short courses of orthodontic treatment". These short courses of treatment have been offered by Orthodontic Specialists for decades. They generally focus on the front teeth and do not correct the relationship between the upper and lower teeth. If you feel that your front tooth or teeth are crooked then this might be the treatment option for you. Best cases for such limited treatment are patients with a great bite in the back, mild alignment problems in the front, and either mild crowding or slight spacing between the teeth. We offer various short term treatment options with costs starting from as low as £75.44 per month*. Patients who want full invisibility. If you’ve always wanted to improve your smile, now is the time. 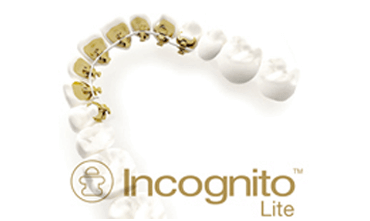 The Incognito Lite System is a brace placed behind your front teeth. This can be a quick and cost effective option if only your front teeth require straightening, or if you have had orthodontic treatment in the past. Invisalign i7 offers an easy and convenient solution specifically designed for minor tooth movement. Invisalign i7 provides results in as little as three months, without the inconvenience of traditional fixed braces, so you can finally treat that slight blemish to your otherwise beautiful smile. 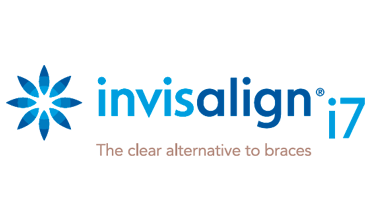 Invisalign i7 was developed as a solution for adults or teenagers who require minor tooth correction. It can treat that slight overcrowding or annoying crooked front tooth that has bothered you for some time. People who had orthodontic treatment in the past may find that their teeth have shifted over time, leaving them once again feeling self-conscious about their crooked smile. Invisalign i7 can help by providing a series of clear, nearly invisible, removable aligners that fit easily and discreetly into your lifestyle. Sectional braces include fixed braces only on the front teeth to correct minor tooth discrepancies. We can offer sectional braces in either a metal or clear version. Removable upper or lower appliances can be used to correct minor tooth misalignments. These appliances cause minimal disruption to your diet and oral hygiene routine. These work particularly well for single tooth movements. We are the only dedicated Specialist Orthodontic practice in Weybridge and surrounding areas to offer advice and treatment for these various short courses of orthodontic treatment. Contact Leanne or Attia today on 01932 831825 to book an appointment.